In this review of Quick Home Websites I’ll be going over all of the things you need to know in order to make a decision about buying it. Will you really be able to make anywhere near $1,000 per day? Or are they just trying to scam you out of your money? As I turns out, you made a good decision to do some research before buying, that way you can learn how to actually make money online! 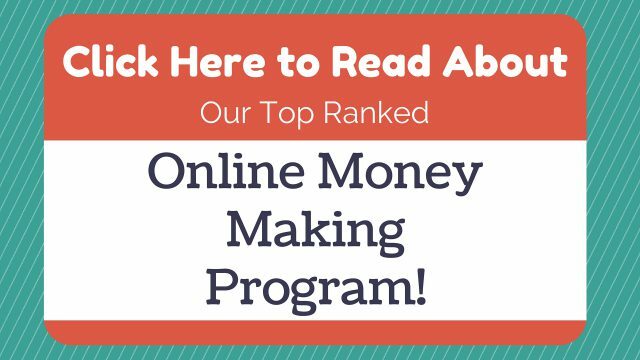 I found 5 good reasons why you should completely avoid this “system” and find a different online money making program! Is Quick Home Websites Recommended? NO! What Is Quick Home Websites? 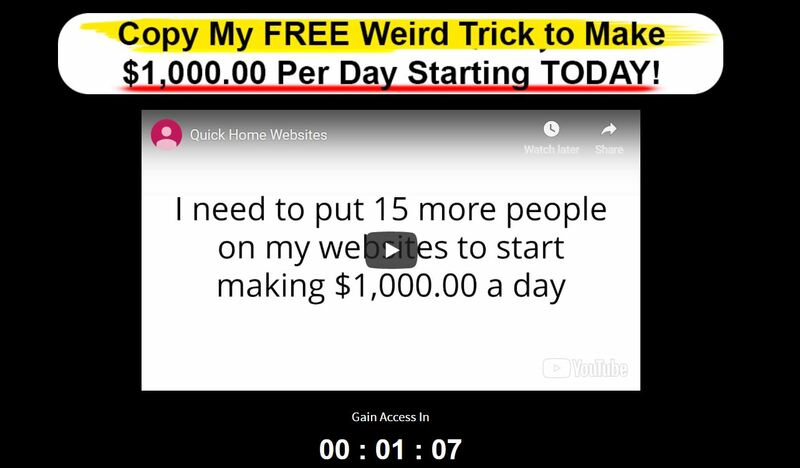 Quick Home Websites claims to be an incredible new online money making system that can make you tons of money! It claims to be a system created by a guy named “Jake” who has already setup a money making website for you. All you have to do is pay $37 to claim it, and you’ll start raking in up to $1,000 per day on complete autopilot. If that sounds way too good to be true to you, that’s probably because it simply is. What Is Quick Home Websites Really? The truth is that Quick Home Websites is just another get-rich-quick scheme that’s trying to get your money. They basically just tell you what you want to hear, promise you the world, and don’t deliver on their promises. You most-likely came across this “system” the same way I did, through a spam email with a link to it. The only people who are going to make money from this system are the creators, and the affiliates who sent you the link. I always try to come up with at least one good thing to say about a system that I review, but I just couldn’t this time. Over the next several sections I’ll be taking the time to go further into detail about all of the points that I listed out above. There were several reasons why I immediately suspected that this was a scam, but the main reason was the claim right at the top. I know the idea that you can start making $1,000 per day starting to day sounds amazing, but it’s just ridiculous. Don’t get me wrong, there is a lot of money to be made online, I even make my living online, however it doesn’t happen overnight. The idea that online success happens overnight is mainly just a fallacy. Making notable amounts of money online times a good amount of time and effort. This ties in closely to the section above, making money online takes work. Automated systems that bring you in money without you having to do anything don’t exist. If they did, don’t you think everyone would be doing it? The idea that you can just copy his website, and start bringing in thousands right away is just ridiculous. This are just misleading claims, and lies that they tell you in order to get you to buy their product. Another reason why I almost immediately picked this out a scam was because it looks just like other scams I’ve reviewed in the past. When I say “just like” I mean it is literally the exact same thing, just at a different web address. 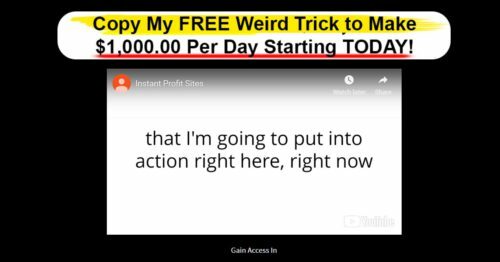 The above image is of another scam called Instant Profits Sites, and it had the exact same layout, and basically the same video. And that isn’t even the only one, not too long ago I reviewed a few other called, Profit With Our Sites, and Copy My Websites. Those were just a few I could think of off the top of my head, there are a lot more than that out there! I didn’t actually shell out the $37 for Quick Home Websites for obvious reasons. However I think I have a pretty good idea of what’s going to happen from the other similar scams I’ve reviewed in the past. After purchasing the system, you will most-likely be hit with a bunch of much more expensive up-sells. If this is exactly like the ones I mentioned above, they could run up in the tens of thousands of dollars. They lead into High-Ticket-Programs, that require you to shell out thousands before you even have a chance to make good money. If you are still somewhat thinking about buying it for some reason, I truly hope that this one will convince you otherwise. That’s right, they even basically say that it’s a scam at the bottom of their own sales page! Like I said earlier, I didn’t actually purchase it, but all of the signs points to yes. The combination of unrealistic income and automation claims, the similarities to other scams, and the disclaimer just scream scam to me! If you actually purchased it, feel free to leave me a comment below letting me know what happened. Other than that, I’m going to strongly recommend that you avoid this “system” at all costs. If you’re interested in actually making money online, and you’re willing to put in the time and effort it takes, I have a suggestion for you. It’s actually the system that helped me grow a big enough online income to quit my job and work completely from home! Is Quick Home Websites A Scam? What Do You Think? Let Me Know In The Comments Below!